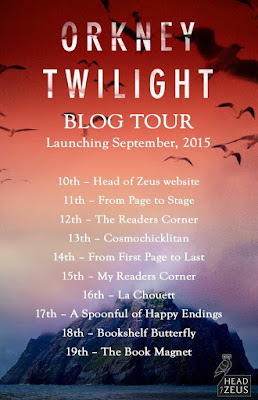 Now without further ado, here's the guest post from Clare Carson sharing her fascinating inspiration for Orkney Twilight. My father died in 1999. My shifting memories of him were one of the main sources of inspiration for Orkney Twilight. When I was a child in the seventies, my dad worked for a secret police unit in London. He called them the ‘Hairies,’ because they all had long hair and beards. He wore dirty jeans, a donkey jacket and drove a grubby Bedford van. He looked out of place in the conservative London suburbs where we lived. We – his family – knew he was involved in some sort of surveillance work, but we were instructed not to talk about his job. We tried to deal with his shadowy life by laughing about it. There was an absurdity to his long-haired disguise and cloak and dagger behaviour. There were also times when we were scared. He was away for long periods, and we didn't know where he was or when he would be back. We had no name or number to call. The thin wall of secrecy was our only protection. In 2002, two years after my father’s death, a TV documentary ‘True Spies,’ revealed his name and some of the details of his work. I was shocked to hear his name spoken without warning and to have the protection of secrecy removed. I learned that during the seventies he had been part of an undercover unit that adopted fake identities and infiltrated political organisations thought to pose threats of disorder and violence. Only a handful of people knew of the unit’s existence. It was unsettling to be informed by the BBC that he was a spy, his ghost called up in the corner of my front room. After the shock, there was a small liberation. If a journalist could talk about my dad, why shouldn't I? I started resifting my memories; the secrecy, storytelling, absurdities and edgy cop banter that were, for me, the essence of my father’s undercover world. I began writing fiction, something I hadn't done since I was a teenager. 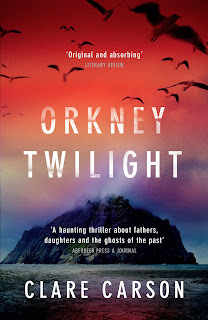 That sense of shock is at the heart of Orkney Twilight, which is about the discovery of other people’s secrets. But it’s also the shock of unearthing the ‘unknown knowns’ – and realising that our own memories can store secrets we didn't know we had. But some have more secrets than others. Jim is a brilliant raconteur whose stories get taller with each glass of whisky. His daughter Sam thinks it's time she found out the truth about her dad. On holiday in Orkney, Sam spies on Jim as he travels across the island. What has he hidden in the abandoned watchtower? Who is he meeting in the stone circle at dusk? And why is he suddenly obsessed with Norse myths? Set against the harsh beauty of the remote Scottish islands of Orkney, inspired by the author's own childhood, this is a gripping first novel from an astonishing new talent. Having read the inspiration for Orkney Twilight straight after finishing the book, I realised just what a personal account this was. Clare Carson has poured her heart and soul into these pages and I could almost feel her inner struggle as she has gone from not being able to talk about her Dad's job to publishing it in a book for the whole world to read. I actually felt like I was peeping into Clare's own teenage diary as I read about Sam spying on Jim. 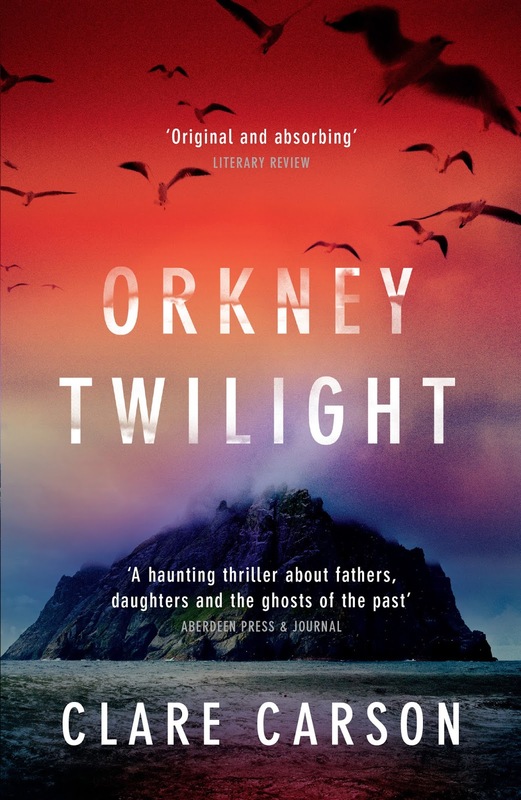 This book is so dark and atmospheric, despite being set at the peak of the summer solstice when Orkney has continual daylight. The frequent references to Norse mythology kept me intrigued as the scene was being set and it proves how well researched this book was - I was not aware of Orkney's Viking history before reading this book, but it's something about which I am keen to read more about. I could almost describe this as a book of two halves - the snooping and spying in Orkney was all very undercover and didn't get my heart racing but without doubt I was lulled into a false sense of security. On their return to London, the pace picked up to a million miles an hour and I felt like I had been thrust into a John le Carré spy thriller. Sam being chased across London was brilliant, I don't think I paused for breath and I was fearing the worst when the mysterious biker guy reappeared. Sam has no idea who she can trust which gives us readers such a conundrum as we try to work it out for ourselves. I was fascinated with Sam and Jim's relationship. How can she get close to him when she doesn't know who he is? It is clear that Sam loved her father and there are moments when we see how much they love each other, but all of this is called into question when Sam uncovers Jim's secret life and alternative identity. I loved how Sam accepted Jim's other life and continued his mission into the Greenwich foot tunnel - the damp isolation added to the dark atmosphere of the book. This was a really heartfelt impressive debut - I'm sure we'll be reading lots more from Clare Carson in the future. 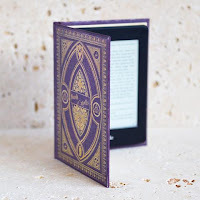 I received this book from the publisher, Head of Zeus, in exchange for an honest review. 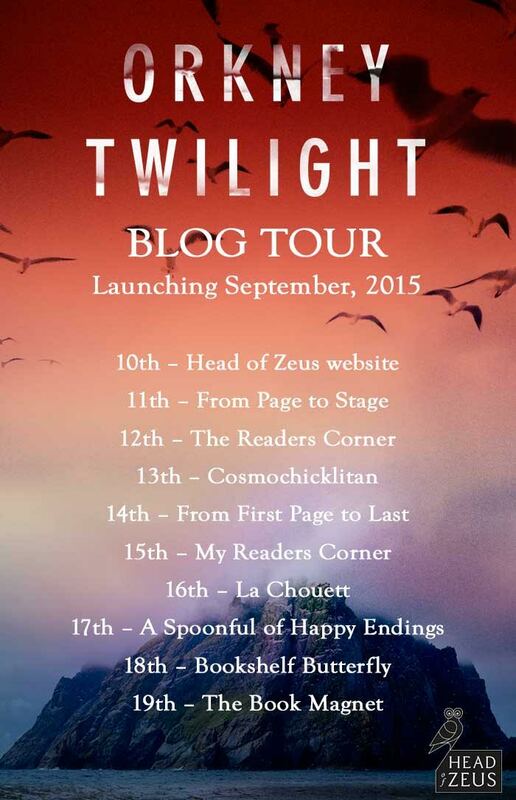 Check out the rest of the blog tour here.